After building the case for months that Russia was a major meddler in the 2016 U.S. Presidential election, on Sunday the Washington Post connected the dots between a “shadow universe” of right-wing front groups domiciled in the U.S. with tax-exempt privileges who have a lot more to show for their efforts than does Russia. 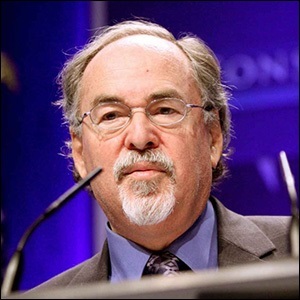 At the center of the Post article, written by reporters Robert O’Harrow Jr. and Shawn Boburg, is lefty turned righty David Horowitz and his nonprofit group the David Horowitz Freedom Center. While sanctions have not been lifted against Russia as potential proof of a quid pro quo with the Trump administration, Horowitz boasts of at least six of his Freedom Center’s supporters who hold top slots in Trump’s administration to push for his long-held positions on a Muslim ban, border wall, school vouchers and ridicule of global warming. “On Dec. 14, 2016, during a videotaped event, Horowitz expressed happiness about Trump’s victory and said Republicans had finally woken up to his approach to politics. He pulled from his suit coat a piece of paper listing Freedom Center supporters already in the administration. “ ‘It’s quite an impressive list,’ Horowitz said, rattling off the names: Sessions, Bannon, Vice President Pence, Reince Priebus, Kellyanne Conway and at least six others. One name that is noticeably missing from the Washington Post article is Charles Koch of the infamous Koch Brothers. Charles Koch and his brother, David, are billionaires and majority owners of Koch Industries, one of the largest private corporations in the world. The company has interests in oil, chemicals, commodities trading, paper products along with many other business interests. Their history of creating front groups dates back decades. Nonprofits associated with Charles Koch have funneled millions of dollars over the years to the David Horowitz Freedom Center to push Big Business conservatism and Islamophobia. “On July 11, 2016, the Trump campaign announced that it had ‘enlisted the services of Bryan Lanza, who will serve as the Deputy Communications Director for Surrogates. Mr. Lanza’s focus will be on organizing and mobilizing Trump supporters in an effective way that allows Mr. Trump’s America First message to resonate with voters.’ Lanza came from Citizens United where he had been Communications Director. “Two weeks later, on September 1, 2016, the Washington Post announced that David Bossie, President of Citizens United, had been named Trump’s Deputy Campaign Manager. The “Occupy Unmasked” documentary carries in its credits the name David Bossie as Producer; states that it is a “film by Stephen K. Bannon,” and prominently displays the name David Horowitz without mention of his exact role on the film. “We can now report what this race-baiting, fear-mongering campaign cost and where the money, at least nominally, came from. The 28 million DVDs were produced at a cost of $15,676,181 by Artist Direct Media which does mass manufacturing of CDs and DVDs with volume discounts. The big media buy for Sunday newspaper insertions ran up the tidy tab of $719,436 and was conducted by NSA Media, a unit of the global ad giant, Interpublic Group, parent of McCann-Erikson. That figure seems decidedly on the light side so there may be other funding sources involved that have not yet surfaced. (NSA Media is a powerful ad buyer, representing some of the biggest print buyers and consumer brands in the country, which might help explain why so few questions were asked by the largest newspapers about this unseemly project.) The full tab, and then some, was paid by the super secretive libertarian nonprofit, Donors Capital Fund. In 2008, Clarion Fund became Donors Capital Fund’s largest grantee by a large margin, receiving $17,778,600. That sum constituted 96 per cent of all funds received by Clarion in 2008 and 9 times its revenue in 2007. Horowitz eagerly took the Obsession film on a college road show. During the fall of 2007, and continuing into 2008, Horowitz promoted an “Islamo-Fascism Awareness” program to more than 100 college campuses, with the film made available for viewing. According to the Southern Poverty Law Center, Muslims make up approximately one percent of the U.S. population and their “voting patterns generally mirror the broader American population. American Muslims are Republicans, Democrats, Libertarians, liberals and conservatives. There is no one political platform or agenda for those who practice the religion of Islam in the United States.” The majority of Muslims have been living peacefully in America since the 16th century. America’s White House is rapidly losing the confidence of its citizens and the respect of its allies around the world. Russia may have, indeed, nefariously meddled in the 2016 election and members of the Trump campaign and transition team may have, indeed, engaged in improper or illegal acts with Russian interests. But there is also a mountain of facts that strongly suggest a coordinated campaign by right wing front groups using the money of U.S. billionaires to create the false illusion of a President interested in the welfare of the little guy. Until we untangle this nefarious web of interests and agendas and lay it all out clearly for the public to understand, we will never make America great again.